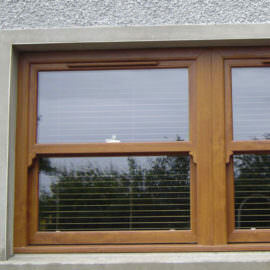 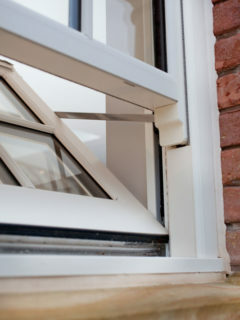 Featuring two sashes – which slide past each other but can also tilt inwards for ventilation – the smooth operation of the vertical sliding sash also gives the option of secure ventilation, fire escape access, and easy-cleaning of external panes from inside the room. 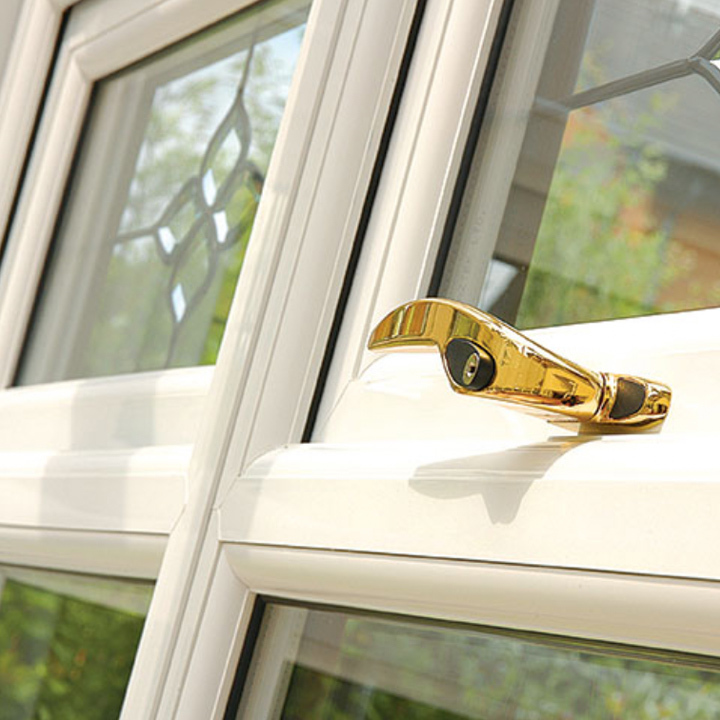 Available in a wide range of colours and finishes, our multi-chambered uPVC vertical sliding sash window is virtually maintenance-free and will not rot, warp or fade unlike traditional timber windows or older uPVC windows. 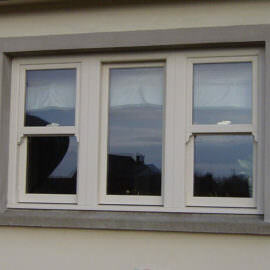 In addition, our uPVC vertical sliding sash window will dramatically improve your home environment, with our range of high performance, heat-conserving, double or triple glazing options. 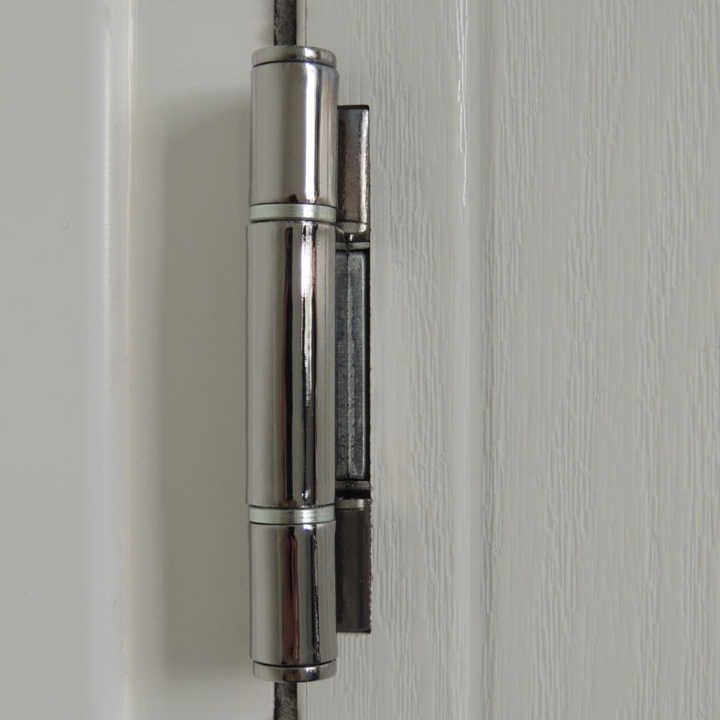 In addition, all our vertical sliding sash windows are internally beaded to prevent glass units being removed from the exterior of the property. 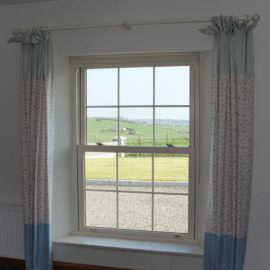 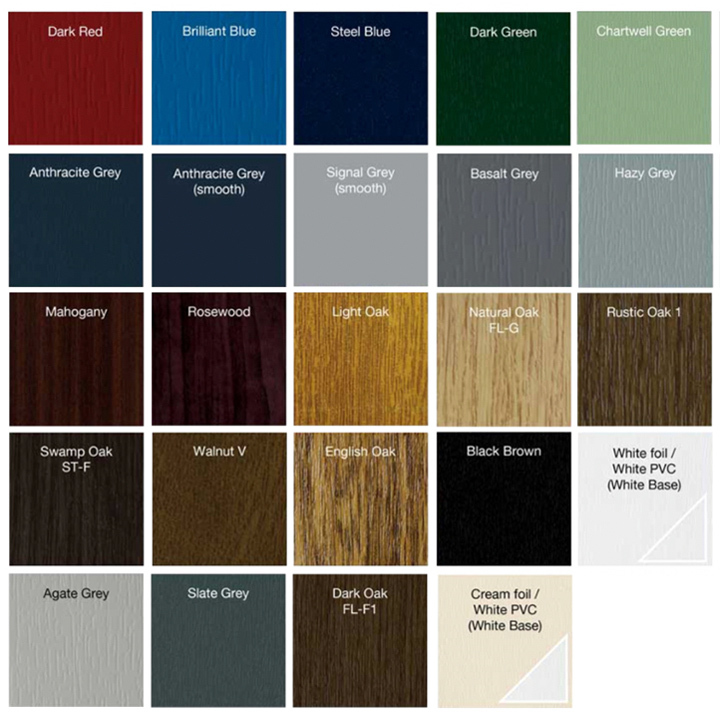 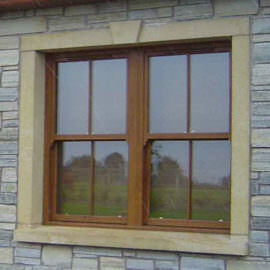 As you would expect with a high quality product such as the The Home Design Group vertical sliding sash window, we use only the highest quality furniture on our fully reversible window frames, including robust pivot-arms, easy-cleaning mechanisms, and the best quality handles, offered in a range of colour and style options. 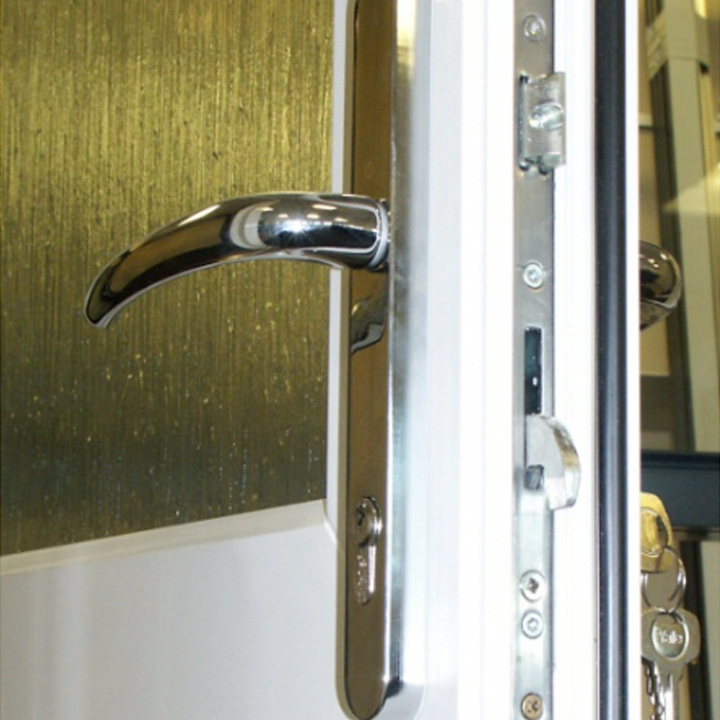 What’s more, we’re so confident about the quality of the products we use that we even give you a 10 year guarantee on all hardware. 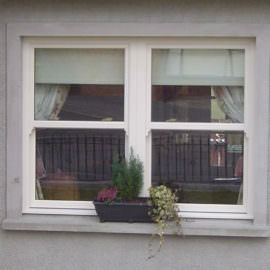 As a result, you have complete peace of mind to know that your vertical sliding sash windows will continue to perform as brilliantly in the years ahead, as they do right now. 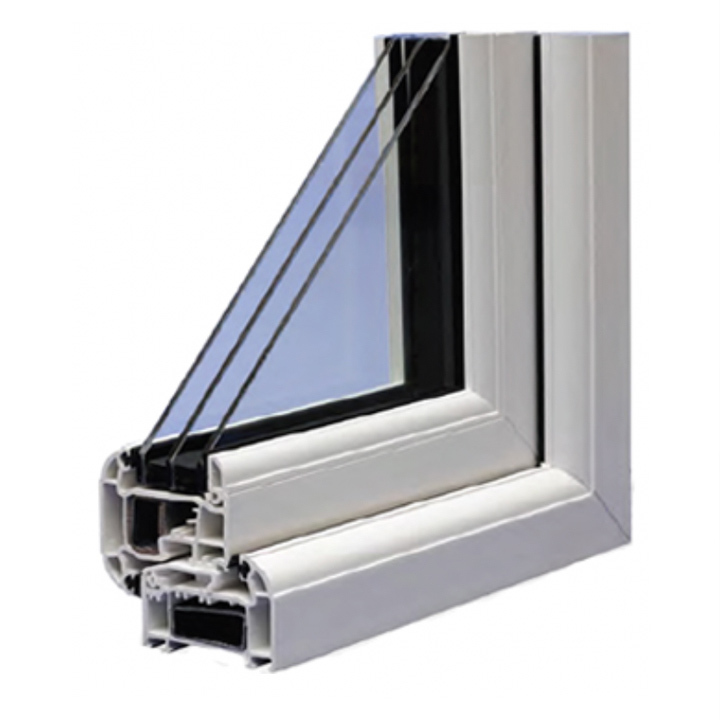 At The Home Design Group we use high performance A Rated 28mm glazing with Planitherm glass and warm edge glass unit spacer bars in our vertical sliding sash windows to ensure optimum energy efficiency or our premium triple glazing if you should require. 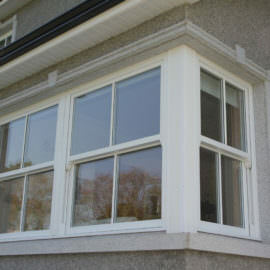 The Home Design Group vertical sliding sash window is manufactured from 70mm multi-chambered profiles and can have a window energy rating of A, the highest level of energy efficiency achievable.